Social media platforms are always being updated, which means they’re frequently changing their profile and cover photo dimensions, layouts, and requirements for uploaded images. It can be tough to keep track of it all. We understand you’re busy; you can’t spend all your time sweeping the internet for information that’s bound to change again tomorrow. However, high-quality and creative imagery is imperative to social media marketing success, so it’s important to know the proper dimensions for each network you use. Download our free ebook here to learn how to win over your audience on social media. That’s why we decided to gather the information for you and keep it in one continuously updated place for your convenience. We also sprinkled in some social media image best practices. Pretty handy, huh? Featuring high-quality imagery on Facebook shows your audience that your business is legitimate, reputable, and pays attention to the details (no matter how small). Facebook wants to provide a positive user experience and prevent advertisers from being overly promotional or spammy, so they check to see how much text is featured in each image. 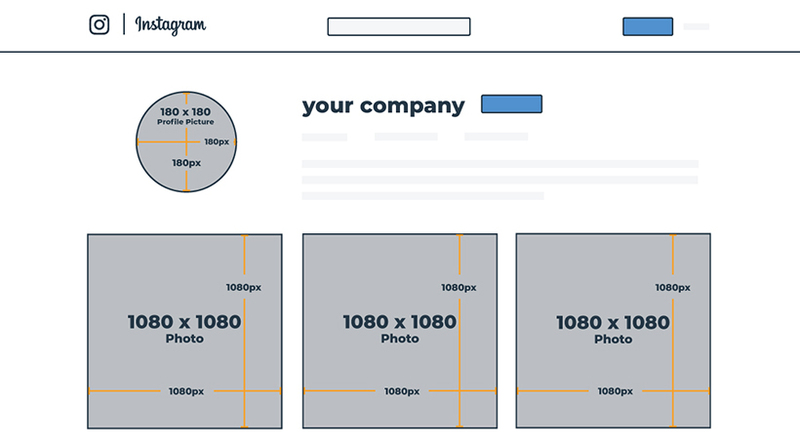 Use this tool to see if your images adhere to Facebook’s text-to-image ratio. Most businesses use this space for their logo rather than a person’s photo. However, if your business is run by you and only you, using a photo of yourself might not be a bad idea. These images appear both on your timeline and in most of your followers’ news feeds. With the decline of Facebook’s organic reach, try asking your fans to like or share your photos to gain visibility without a significant financial investment. Or consider paying a small fee to boost your posts to ensure that your audience sees it in their feed. If you’re sharing a link to your business’ Facebook Page, there are a few more elements to consider and formats to choose from. When you paste a link into your status, depending on the size of the images on the web page, you’ll be prompted to include a carousel of up to 10 images. You also have the option of sharing the link without using the image — which can come in handy if you’d rather upload a new image to share with the link instead. Pro Tip: Sharing images and links from other sources allows you to post relevant content to your page when you don’t have time to create your own. It’s also a great way to share content contributed by your audience or other businesses and keep promotions to a minimum. Known for its real-time social buzz, Twitter is also an extremely popular customer service and experience tool for businesses. Your profile photo will be visible on your profile, in your news feed, and next to a link in the “Who to follow” box. Most businesses use this as a place for their logo because it is seen practically everywhere: when you tweet, when others retweet your tweet, when their retweet gets retweeted, and so on. Your cover photo, however, is only seen when a user clicks to your profile – but that doesn’t mean it’s not important! It’s a large photo across the top of your profile, so you want it to be high quality and represent your brand. Twitter recommends that you upload your cover photo dimensions at 1500 x 500 pixels, but because the cover photos are responsive, yours may look larger or smaller depending on the size of your browser or screen. Pro Tip: Cover photos are a great place to describe what your brand does, display a new product, or use as free advertising space. Twitter may have a limit of 280 characters, but you can use visuals to assist in representing your brand and sharing your content. Attaching a photo to your tweet used to take away 23 characters (because it needed the URL to link to the photo), but in 2016, Twitter announced that links and media attachments (e.g. photos, GIFs, videos, and polls) will no longer count as part of the character limit. This is great for marketers because tweets with images are over a third more likely to be retweeted than those with only text. You can’t make separate images for Twitter and TweetDeck since TweetDeck is not a separate social network, so everything you post on one site will show up on the other (there’s no way around it). However, you still want to take into consideration the way that your Twitter images appear on TweetDeck because the dimensions do vary in size a bit. Pro Tip: Some of your header image design will be covered by your profile photo and bio in TweetDeck. So if you have important text or imagery that you’d prefer be seen at all times, be careful about centering those elements. PLEASE NOTE: Any images you upload to Twitter will appear on TweetDeck, so you cannot have two different image sizes. However, be sure to keep the below dimensions in mind when creating Twitter images to ensure that they render well across both platforms. Google Posts allows you to push events, updates, blog posts and company news directly to the Google search results page. Posts offer a unique and visual way to attract the interest of people searching for your brand. These posts only stay active for a week, so be sure to update your Google Posts frequently. You can get started with Google Posts directly within the Google My Business interface. Be sure to use captivating images and headlines that grab attention. Google+ underwent a substantial redesign, giving many marketers and everyday users hope for the social network’s future. When a user performs a Google search for your business, elements of your Google+ profile, such as your location and reviews, will likely be listed, as well as links to recent posts on Google+ (when applicable). So while Google+ may not be the top social media platform, it certainly shouldn’t be ignored. Keeping in mind that your Google+ profile may show up in search results, you’ll want to ensure that your profile image is high quality and that you have recent posts available for viewing. Also note that even though you upload your profile photo as a square, it will display on your page as a circle. Regarding your Google+ cover photo (as with most cover photos), it’s the largest image at the top of your profile, so you’ll want clear and creative visuals to portray your brand. When sharing on Google+, you have the option to share publicly, within a Collection, in a Community, with a Circle, or with an individual. Collections are much like Pinterest boards where you can organize and collect images or links about a particular topic. It helps keep your content organized and allows other accounts to pick and choose which Collections they want to follow based on their areas of interest. A Community is a place where people can discuss and share news on common topics of interest. Circles are your account’s followers grouped together based on certain criteria (e.g. friends, colleagues, etc.). When you paste a link to share on Google+, it will pull a photo from the web page and add it to your link as a small square or rectangle, depending on the original image size. If the web page has multiple images on it, you can flip between them to choose the image you’d like to feature in your post. Pro Tip: Sharing relevant content in Google+ Communities is a great way to raise brand awareness, promote your page, connect with other users, receive quality post engagement, and potentially get traffic to your blog/website. But don’t overdo it: when you post to a Google+ Community it also shows up on your profile, so sharing the same post to several Communities tends to look spammy. Pinterest is also a great search tool, with 69% of users having purchased or considered purchasing something they found through a search on the network. This is one of the few platforms that doesn’t have a cover photo, so the representation of your brand rests heavily on the shoulders of your profile photo. Similar to Google+, Pinterest’s profile photo is uploaded as a square, but displays as a circle at the top of your profile. With Pinterest’s layout being more portrait-oriented, vertically designed pins tend to perform better. When deciding on size, create a pin that caters to what you want to visually represent; larger pins do not necessarily mean you’ll attract more attention. The first thing you see when you visit someone’s Pinterest profile is their collection of boards. Name your boards appropriately and include a relevant cover photo for each of them. You don’t want empty boards (or no boards), but you don’t want a plethora of boards with no purpose, either. Pro Tip: Ensure that your first two or three boards are directly related to your industry or audience. You don’t want visitors to leave your profile because they don’t understand what your business does or can’t quickly find the information they’re searching for. Also, infographics tend to do really well on Pinterest. LinkedIn is primarily for networking with other professionals, but it’s also a resource for businesses to connect with other businesses, prospective employees, and industry leaders. You can choose between a personal profile and business page (both with free or paid options). You should have a respectable, professional photo of yourself for your personal LinkedIn profile. On LinkedIn, the background photo replaces the “cover photo” at the top of your profile page. As an oblong shape, it can be difficult to find imagery that fits the space well – that’s where creating your own visuals comes in handy. The standard logo for a business account is a small square at the top of the profile page that is displayed next to your company’s name. The square logo is what people see when they search for your company or see your posts in their news feed. Instead of a background, you can have a cover image on a business page that stretches across your profile underneath your logo and company name. Pro Tip: Use a photo of your employees or your business’ building as a banner photo – and avoid random stock photos. For background photos, it’s usually best to choose something subtle that doesn’t distract too much from the content of your profile. Instagram is all about visuals, which should make the importance of high-quality images blatantly obvious for this social network. As with some other platforms, the profile photo is a circle that shows up next to all of your posts and at the top left of your profile page. For businesses, it’s a great idea to use your logo here so all of your photos are associated with your brand. As of June 9, 2015, Instagram updated its profiles, feeds, and hashtag pages with a flat, minimal design – so there is no longer a cover photo. Instagram also introduced the ability to upload portrait and landscape-oriented photos and videos in August 2015. And, to ensure images look sharp across all devices with high-resolution displays, Instagram rolled out support for images at a higher resolution (up to a 1080-pixel width) in July of 2015. Pro Tip: This is a great place to show your company culture, what happens “behind the scenes” of your business, the process of creating your products, customers using your products, etc. Tumblr is a blogging and social platform where users share thoughts, quotes, music, articles, GIFs, videos, images – basically anything. Images are (of course) an important aspect of this social network, but text-based content is associated with Tumblr as well. This photo will show up as a small square next to your posts in your followers’ main feeds and is embedded with your username in posts that users come across while perusing Tumblr. You can choose a theme for your Tumblr page, which allows for added customization (think of it as a website or blog page); however, many users will still be able to see a “profile” preview with an avatar and header photo of your choice (see the GIF below for an example of the profile preview). With that in mind, it’s important to remember that this header image will not show up on your Tumblr page unless you add it to your theme. Your avatar may also not be featured on your theme, but will show up as your Tumblr’s favicon on browser tabs. Pro Tip: Consider placing your business’ logo directly on the photos you upload to increase brand visibility and recognition. YouTube is a video-sharing social network that is accessed by users on the largest variety of devices, including tablets, phones, desktops, and televisions, so it’s important to have imagery that displays correctly across devices. A small square profile photo overlays the top left corner of your YouTube page. As important as profile and cover photos are to representing your brand, on YouTube, many users will see one of your videos before them. This makes having striking images even more important so that users associate the videos with your brand and remember you when they do reach your profile page. Note: Your YouTube account is connected to your Google+ account, so your channel icon will show up as whatever image you have as your Google+ profile photo. However, you can still upload a different image for the channel art. Pro Tip: You only upload one image for your YouTube channel art, but it will display differently across different devices. 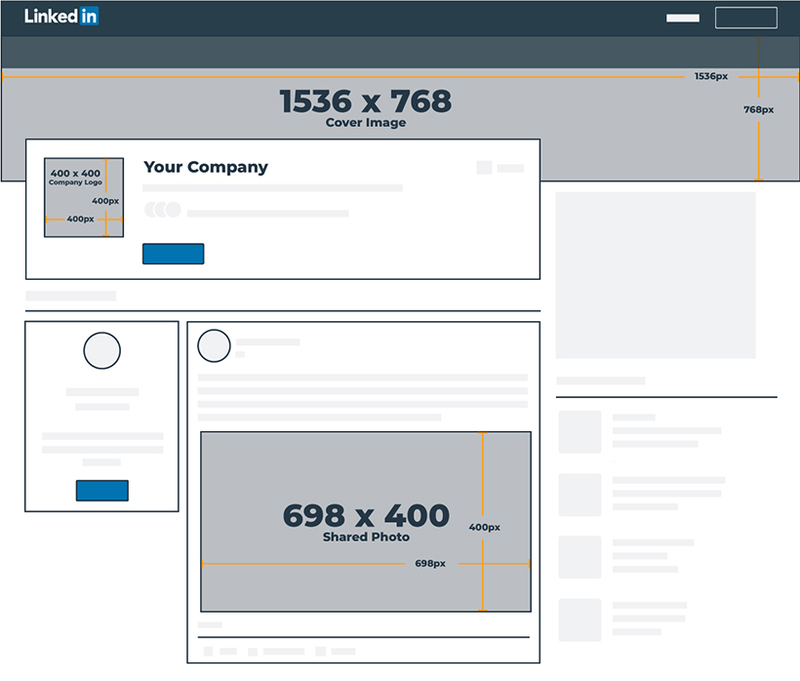 When you upload an image, you can crop it to fit the desktop layout (see the GIF below for a demonstration) – but make sure the important elements are right in the center to ensure they aren’t cropped out on smaller screens. With over 187 million daily active users, Snapchat provides businesses with a visual way to connect with their audience. Through the use of lenses, filters and ads, Snapchat is a source for engaging, unique content. Below are the updated images sizes required to run successful Snapchat advertising campaigns. 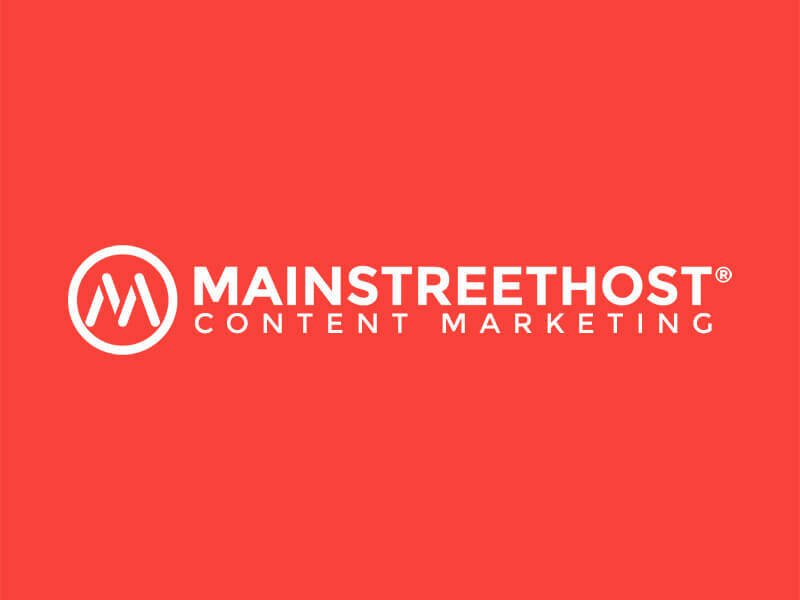 The Mainstreethost Team is dedicated to bringing you exciting social media, marketing, and technology news as well as updates regarding our products and services. We love to chat, so connect with us on social media! Short and sweet. I have applied all the dimensions mentioned. Great work!!! This was very useful, thanks for putting this together. The instructions for keeping updated and editing the Google Doc seems straight forward. However, when I clicked on the link it doesn’t open up in my Google Doc, therefore, I am unable to set rules for notifications and editing like you suggested. Can you explain? can i download this as .pdf ?? would be great…. DutchGlory We can likely send you a .pdf version of the graphic if that format works best for you. Let me know a good email address to send it to. Rene, this is possible. Let me know a good email address to send it to and I’ll send it right over! Congrats on the awesome resource compilation, I’ll be checking back often and already bookmarked the Google Spreadsheet. I’ll second the downloadable PDF idea, but whilst you don’t implement that I’d welcome your kindness in sending it to my pilfrota at gmail address. Thanks for checking out this resource! I was hoping for the source version, so we could use the vectorized shapes to make it easier to prototype/create the graphics, but this one will be extremely helpful too. Have fun! Heard any more about the “new” Facebook cover? I had that look back in September but it only lasted a week or two. Curious if they’re rolling it out again. 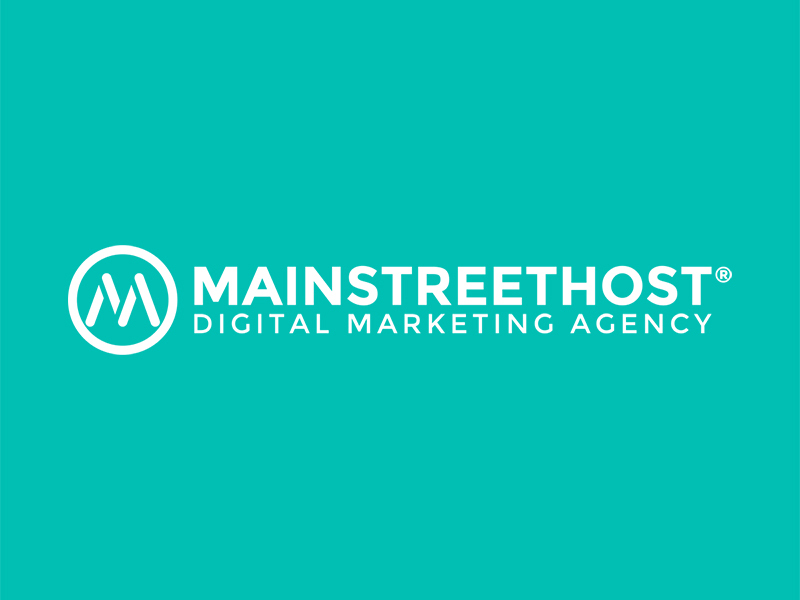 While we haven’t received any definitive answers or heard any news regarding the “new” Facebook Pages cover and profile photo layout, we’ve updated this resource to note that a few Mainstreethost employees who were once able to see the “new” cover and profile photo layout are no longer able to. In an effort to get some answers, I reached out to a Facebook representative via Facebook for Business live chat support. She did some investigating and told me that it looked as though this was just a “testing feature.” We’ll continue to keep our eyes peeled and update this resource with any future news or changes! P.S. I was actually really fond of the “tested” version! What did you think? Thank you for the comment – right you are! We’ve fixed the Instagram section of the post to include some additional information via Instagram. The infographic, PDF, and Google Sheet have been updated, as well. Do you have any design grids for Facebook Page event cover image? FB is claiming it should be 1920×1080 but the only place that seems to be working for is the event on mobile, at every other instance when it’s displayed (especially on desktop) FB crops the image horribly. I’d much appreciate any info you have. This is really starting to do my head in. Thanks for all the other great info though! I created a test Event Page and tried uploading one photo at 851 x 315, and one at Facebook’s recommended size of 1920 x 1080. Looking at the very rough comparison graphic attached to this comment, the “safe area” across desktop and mobile (for the actual Event Page) was right around the center (especially the area within the white rectangle, which remained 459 x 202 on each photo). So regardless of what size image you choose to upload, I’d make sure that the important information or visual is close to the center. Both images look nearly identical on desktop (since any image you choose will be fitted to 784 x 294 – although you do get the choice to drag and reposition the 1920 x 1080 photo, meaning that it does, unfortunately, get cropped – as you mentioned. Oftentimes I’ll suggest using Canva’s (https://www.canva.com/) pre-sized templates to create social media photos / cover photos. Conveniently, they even have one for Facebook Event Covers (at 784 x 295). Awesome, Jess! Thank you. I had suspected that the solution might just be centring important content. I so appreciate your fast and detailed reply! Many thanks! Awesome, thank you! But I have a question for you regarding the Facebook Timeline Photo. I can see Facebook resizes the images at 470 px width in the desktop news feed… How come you recommend 1200x630px images? Where does Facebook displays the timeline photo at 504 px width? Thank you very much! However, this specific suggested measurement is aimed at creating the large, rectangular-sized image like the ones displayed with links. 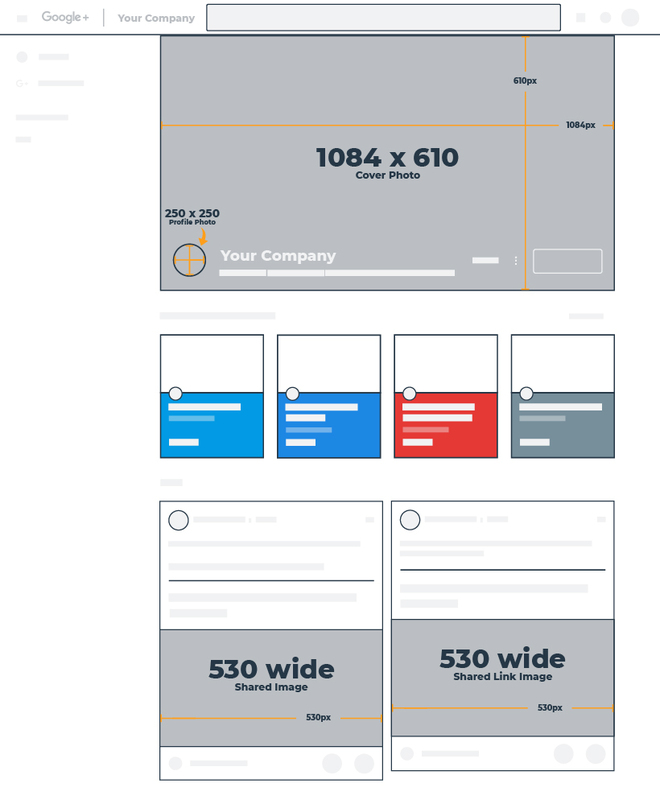 Depending on what kind of image you’d like to share (for example, a square image from Instagram or a large quote graphic), you can truthfully use any dimensions you’d like, preferably with a width of at least 600 px (Canva suggests designing a regular Facebook post at 940 px by 788 px, which would scale down to 470 px by 394 px). I apologize for the long comment – with all the updates and different sizes, it can get pretty confusing. But I do hope this helps answer your question! Hey, is it correct that the recommend format for timeline-posts is now 1230 x 630? Before, it was 1200 x 630, which sense makes this slightly difference? Thanks for reaching out! 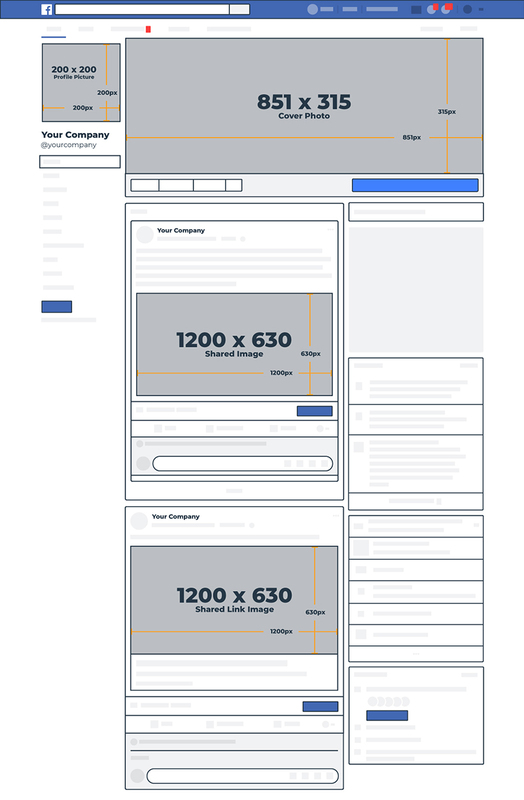 The Facebook measurement is a little tricky because as you’ll see in earlier comments, the image display size varies a little bit between your news feed and your timeline. So technically, you would want to upload slightly different image sizes for each. 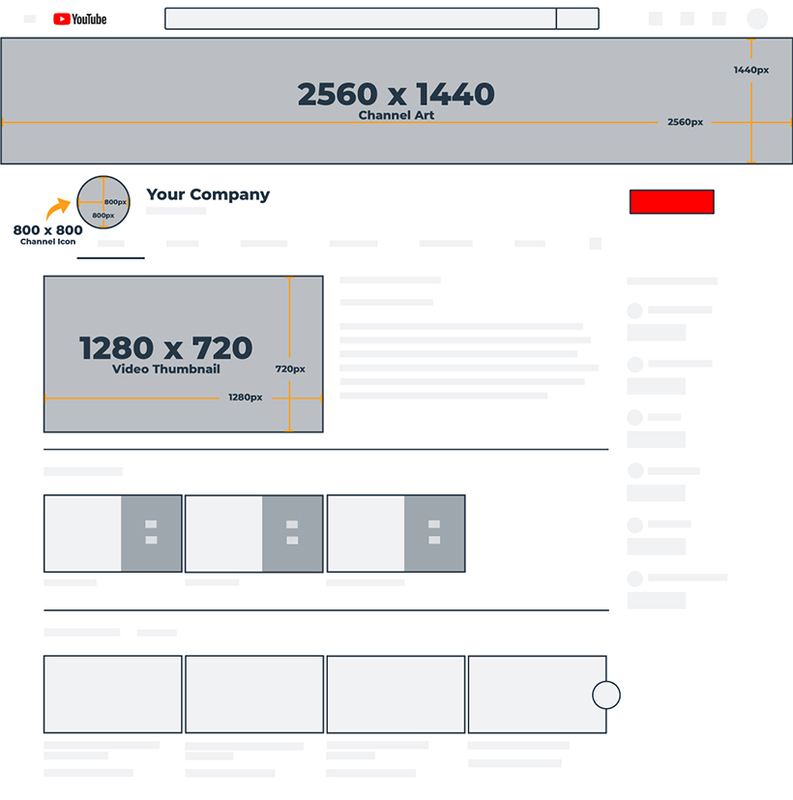 Since you can’t do that, just stick with the original recommended dimensions of 1200×630 and the image should display well in both places. Thank you for bringing up a great point, and we’ve made the change to our infographic! Hope this helps! Thanks a lot for all the content that you provided both in the infographic and in the e-book! It was very informative and gave me a fresh perspective on how to go about creating content for clients. Keep up the great work and thanks again for the direct, simple and friendly info! 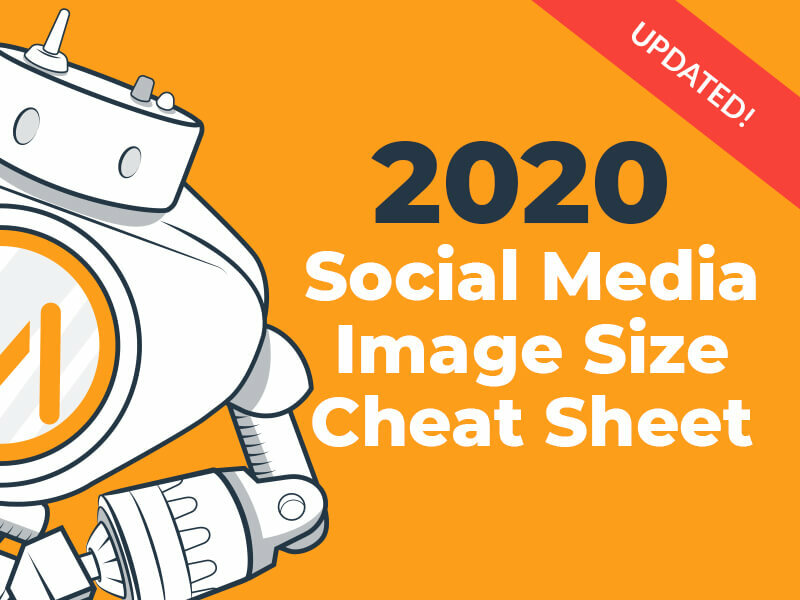 So happy to hear that the cheat sheet and ebook have been helpful in your social media efforts! Thank you for taking the time to check out our content – it’s much appreciated. Have a great day! Hi, does anyone know what the best settings are for creating video for new vertical Facebook videos? I read it works 2:3 ratio, but then opens full when selected. I therefore used a 1080×1920 ratio, but when selected the top and bottom are cropped quite heavily. Resolution is poor too, but guess that’s a Facebook thing? Hope this helps – and thanks for checking out our cheat sheet! It definitely keeps us on our toes, but it’s well worth it! So glad you’re finding it helpful! short and perfect size of all social media accounts. Thank you for putting together. maybe this is obvious – but at what DPI/resolution – still 72? or 300? or 1080? Hi Kara, The correct resolution 72 dpi. 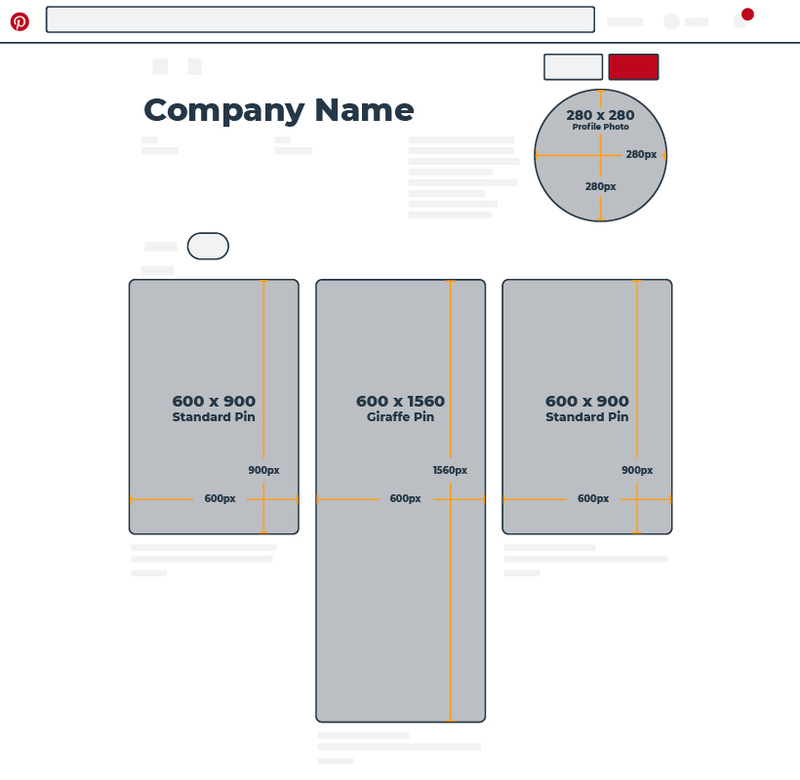 Good place to go for template specs for the top social media sites. Awesome!